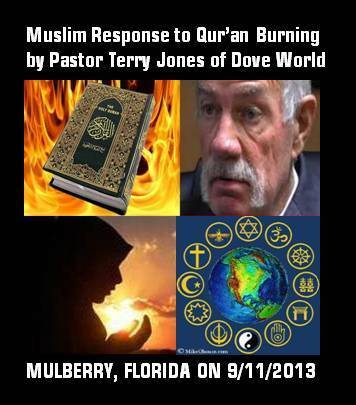 We as Muslims plan to respond to pastor Terry Jones’ planned burning of 3000 copies of Quran on September 11, 2013 in positive terms. Unwittingly Pastor Jones has done us a favor by invigorating us by his decision to burn nearly 3000 copies Quran on September 11, 2013. Obviously he is not satisfied by the notoriety he garnered by burning one Qur’an last year. As Muslims and citizens we honor the free speech guaranteed in our constitution. We have no intentions to criticize, condemn or oppose Pastor Terry Jones’ freedom of expression. Instead, we will be donating blood and praying for goodness to permeate in our society.